Home » Invest Money » The Future of Investing – 2015 and beyond! The Future of Investing – 2015 and beyond! This entry was posted in Invest Money Investing Theory and tagged Finance Apps Funds Portfolio Management on December 24, 2014 by MG.
With another year drawing to a close, it is a good time to look at how the world of making investments will change over the next year and beyond. Technological advancements have had a dramatic effect on many industries. Changes have mostly been beneficial for the consumer but one industry that has not been affected by modern technology is that of making investments. This trade has not changed in all its years as you still need to follow the same steps to making investments as you did 10 or even 20 years ago. Although you know can place an order over the internet rather than having to telephone your broker, this change is not enough and I believe that there is going to be a revolution in this area. In this modern world, whenever we talk of looking to the future we need to look at America. And when we want to look at the future or personal finance, this is not different. 2014 has led to an explosion of personal finance and investment platforms in the U.S. These new platforms have led to new ways of investing and although they are currently only available in the U.S., there success will inevitable make them want to venture abroad and come to the U.K. within the next year or two. Here is a list of the investment platforms I feel will bring the biggest amount of change and are considered to be the juggernauts of tomorrows. Motifs can be based around a wide array of variables such as a certain industry, a specific ratio or your own preference. 1) Motif Investing – This website has brought a spin on investing as you buy motifs rather than stocks and shares. Motifs are a bunch of stocks grouped together by either there industry, a specific ratio or your personal preference. This has made investing easier as now, if you think healthcare stocks are about to rise, rather than buy individual health care stocks which could cost a heft commission fee, you can easily buy a health care Motif. Another example could be buying a Motif containing all the biggest divided payers on the stock exchange. You can already see how useful and innovative this is. The Motif Investing concept has taken Wall Street by storm so much so that Investment banking heavyweights Goldman Sachs and J.P.Morgan have decided to invest in the company. 2) Robin Hood – Is a stock brokerage website with a twist – it charges no commission! This platform is a real game changer as it will kick existing online stock brokers out of business really quick if they don’t change and adapt. The founders of Robin Hood have stated that current brokerage firms have costs of fractions of a penny for trading and transactions. So if you are paying £10 for a trade right now, the broker is making £10 profit. This platform will be especially great for the young mobile friendly generation because if you’re a young investor you have no loyalty to brokerage firms like Hargreaves Lansdown or Fidelity. Robinhood has a strong mobile focus and they understand the way the new social world works. And if you think free trades are too good to be true, Robin Hood can count Andreessen Horowitz and Google Ventures amongst its backers and thus you know that this platform means serious business. 3) Wealthfront – This platform may prove to be revolutionary and will open the world of investing to people who have never thought about investing before. 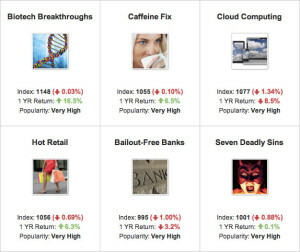 Wealthfront is the largest and fastest growing automated investment service out there. Before you sign up, users need to take a questionnaire in order to determine the level of risk. A portfolio is than chosen for them based on their level of risk. After this, the process is fully automated as Exchange Traded Funds will be chosen for your portfolio based on a series of Algorithms. Your fund will essentially be based around Modern Portfolio Theory which puts emphasis on diversification in order to get the maximum possible return from the least amount of risk. 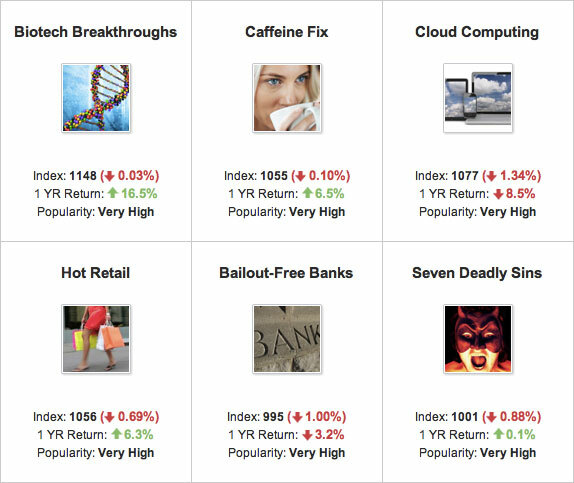 The Wealthfront platform picks ETFs for you according to your risk preference. This ‘robo-advisor’ way of managing your wealth by picking intelligent portfolios seems like the way forward as traditional wealth managers like Charles Schwab & Co have began to take note and are also launching there own ‘robo-advisor’ platforms. The market is already run by robots not people. The vast majority of trades placed every day aren’t done by big asset management firms, but floor traders and computerized algorithmic models looking for short-term price discrepancies. Wealthfront is targeted at the Millenial generation because they have grown up with software and expect services to be delivered online. I believe millenials will flock to this platform as its easy to use, very cheap to hold a portfolio and is fully automated. It’s fully automated nature will help eradicate the biases found in human investors. Wealthfront looks like it is leading the way on becoming the platform of the future and it counts Index Ventures, Ribbit Capital, Greylock Partners and DAG Ventures amongst its backers. In this new age of finance, Silicon Valley has finally met Wall Street. Some of these new platforms are truly remarkable and revolutionary and I for one cannot wait for them to come to the U.K. The big banks of Wall Street have already invested in these apps as they know that the threat poised by these new platforms is real! And you know, Silicon Valley has taken down every other industry it has come up against!